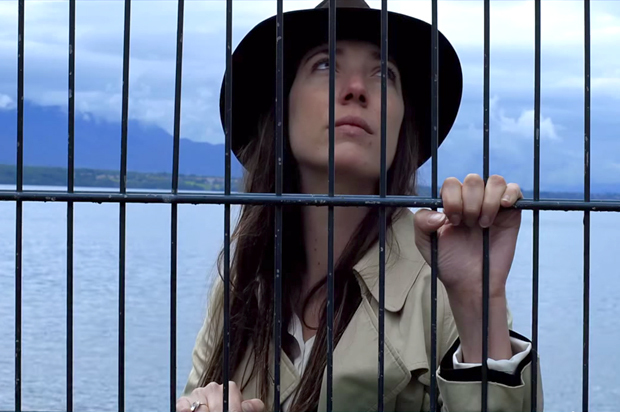 Free Thinker - Michele Rovatti's blog : Cinema: Jean Luc Godard "Goodbye to language"
I sat through Jean-Luc Godard’s remarkable 3-D film “Goodbye to Language” directly in front of a New York daily newspaper critic who was nearly driven crazy by exasperation. He sighed and rustled and slouched and put on his coat and took it off and left and came back. At first I felt resentful about the constant mutter of distraction, but “Goodbye to Language” is no ordinary moviegoing experience, and it ultimately dawned on me that being in the same physical space with this guy who hated it from first moment to last was an irreplaceable part of my experience. His noisy suffering was as much a part of the soundtrack as the chorus of overlapping quotations from literature and philosophy, or the snippets of baroque, classical and modern music. That person’s reaction will not be unique, to say the least, and Godard is very much aware of that. You have to cast aside preconceptions about movies being entertaining, or at least about what you think that means, in order to enjoy “Goodbye to Language,” and that’s not possible for everybody. In a certain perverse sense Godard might be delighted with my tormented Philistine, because that person illustrates a point Godard was trying to make (accepting for the moment that he has a point to make) about the kinds of attentiveness and focus we have lost, and about the cultural totalitarianism that makes even the tiny, marginal art-zone he has inhabited for decades no longer sustainable.